Thank you for the photos. It was very nice doing business with you. We hope to have order from you again in future. Am truly sorry for my very late reply and feedback i was out for a while. We are very pleased to receive the photo of your family with the Nissan Liberty you purchased with us. 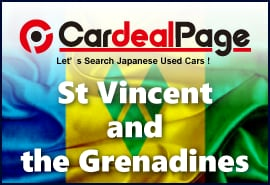 advertisement for our company in St. Vincent and Grenadines. Please keep in touch and let us know if you or any of your friends need a car. Just wanted to let you know that the unit successfully cleared customs today. It exceeded expectations and was definitely worth the wait. My client will be very happy. Please see photos with my customer Garry Avery with his Suzuki Swift. Thanks again. Looking forward to more of the same in the future. Thank you very much for photos and good news. 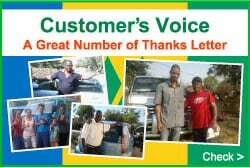 We are happy to hear that your customer liked his car and told you that it was worth waiting. He looks very happy with his “new friend”. Degra, I really appreciate your support and patience during this deal.